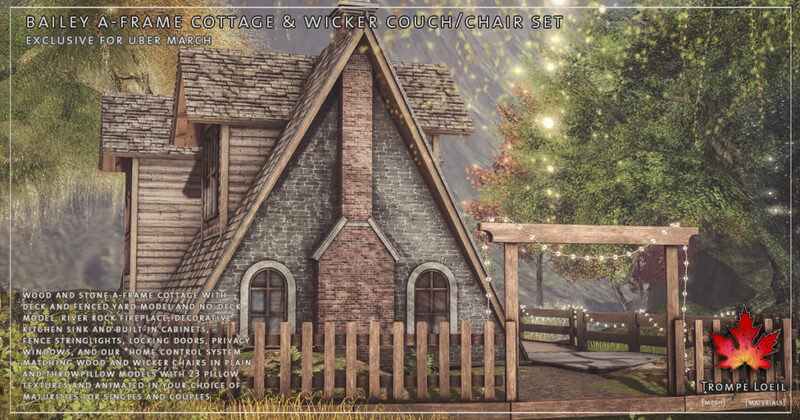 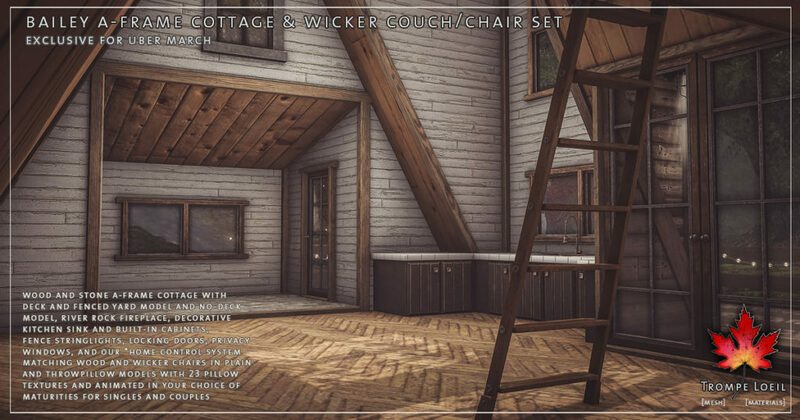 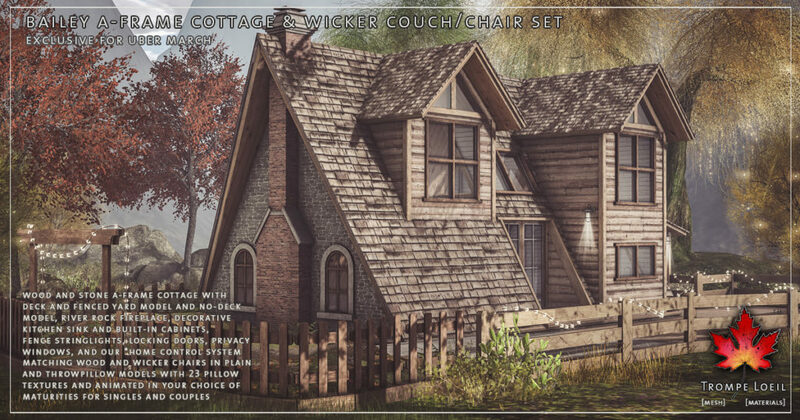 A perfectly classic A-Frame cottage of wood and stone awaits you in the woods, and matching wood and wicker seating sets make it even more inviting – the Bailey A-Frame Cottage and Wicker Chair & Couch Set for Uber March! 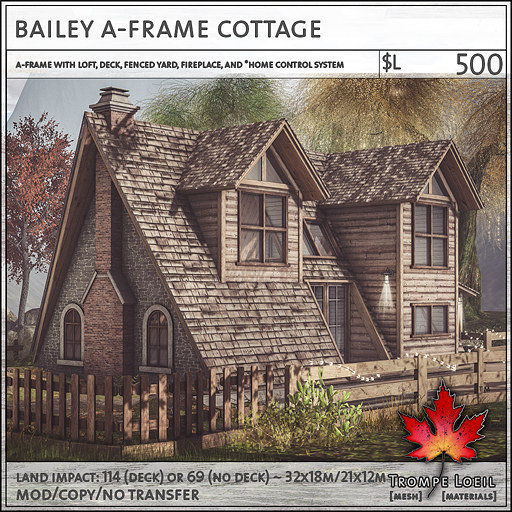 The Bailey A-Frame Cottage features an elevated deck and entry lawn with rustic fencing, gateway arch, and delicate stringlights to set a festive mood. 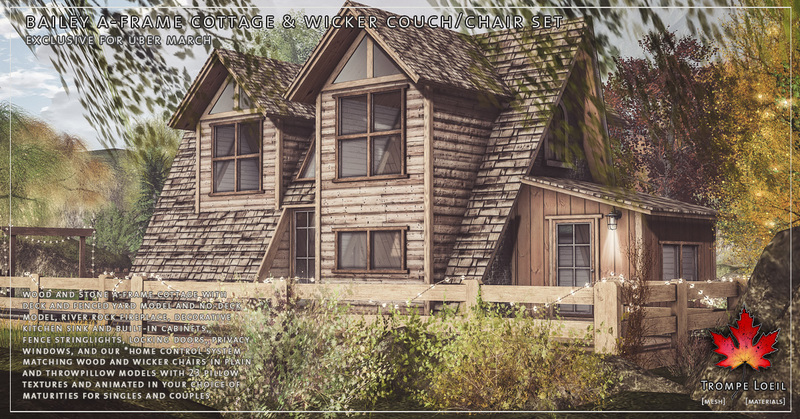 Two entryways with locking doors give you options into the open floor plan with built-in kitchen cabinets and decorative sink, entry mudroom, river rock fireplace with working fire, and upstairs sleeping loft with ladder access. 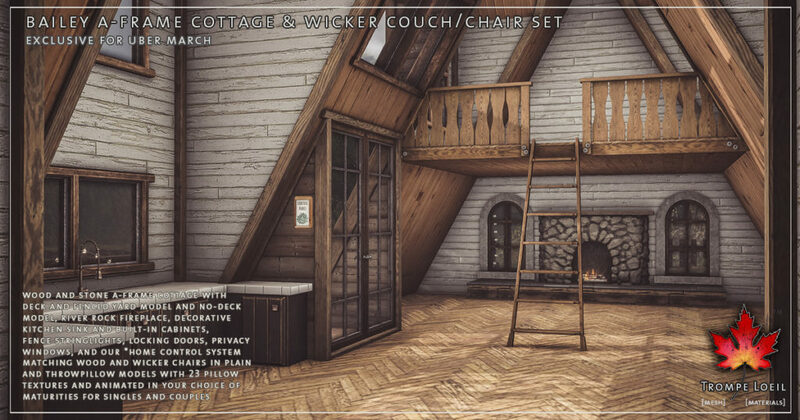 We include a no-deck version as well! 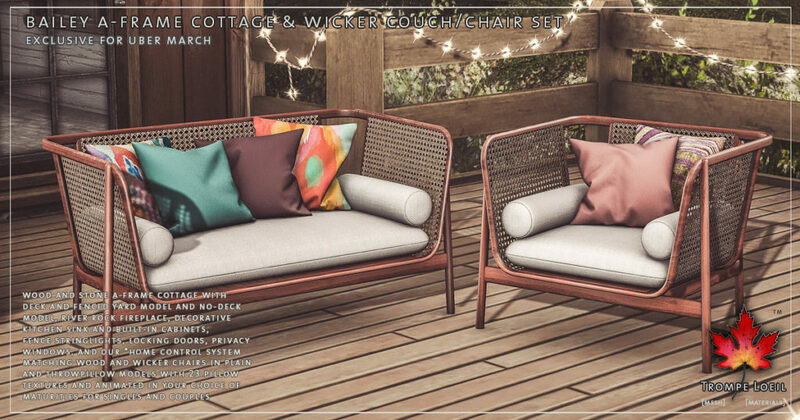 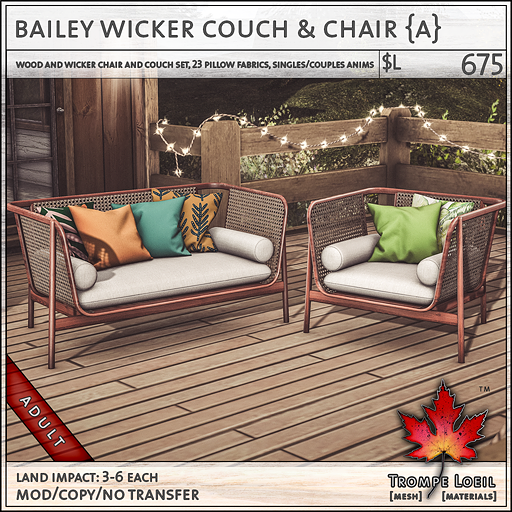 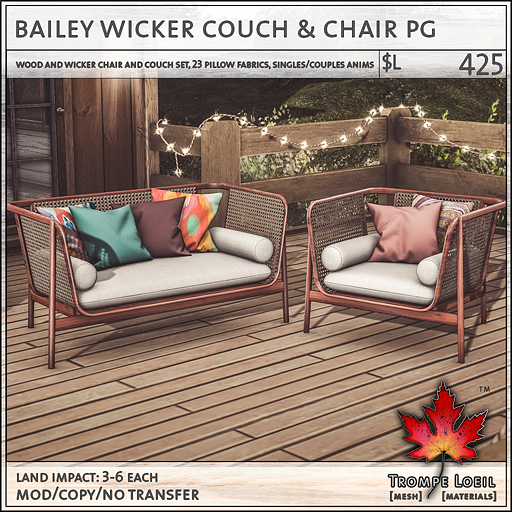 Plus, the matching Bailey Wicker Chair & Couch Set features pillow and no pillow models, with 23 fun pillow color/pattern combos on touch menu and tons of animations in your choice of maturities for singles and couples. 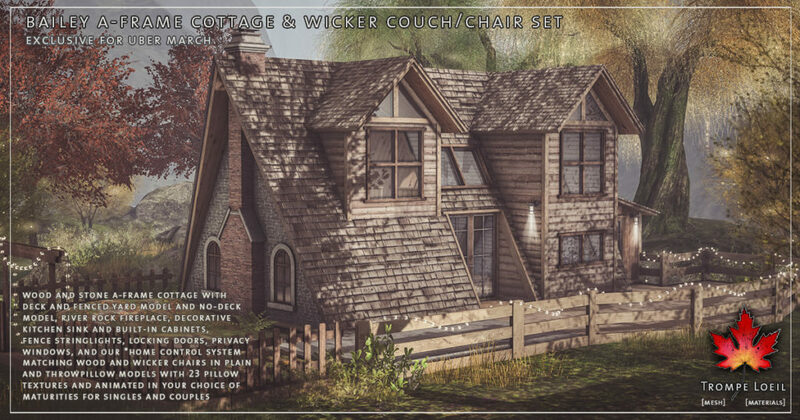 Only at Uber March!